Sanahuja (officially in Catalan Euskera Sanaüja next Zani-Goiás, meaning “guardian of above”) is a Spanish municipality in the province of Lleida, located at the northern end of the region of the cicada, Llobregós beside the river. The village is at the foot of a hill topped by the remains of the castle rise Sanahuja. Sanahuja Castle is located on a hill overlooking the village of Sanahuja, in the Catalan region of the Cicada. Is documented in 1001 in a bull of Pope Sylvester II in which the strength is given to the Bishop of Urgel and today is a small village and about 500 inhabitants. The castle is original eleventh century and his remains show various construction phases up to the sixteenth and seventeenth centuries, when it was converted into Episcopal palace. In 1583, José de Calasanz was ordained in the Castle Church. This period is the belfry with five eyes that made bell function until 1929. The town still retains its medieval structure so it is like a trip back in time to act in his corner. July 10: Film outdoor the trip of Chihiro. 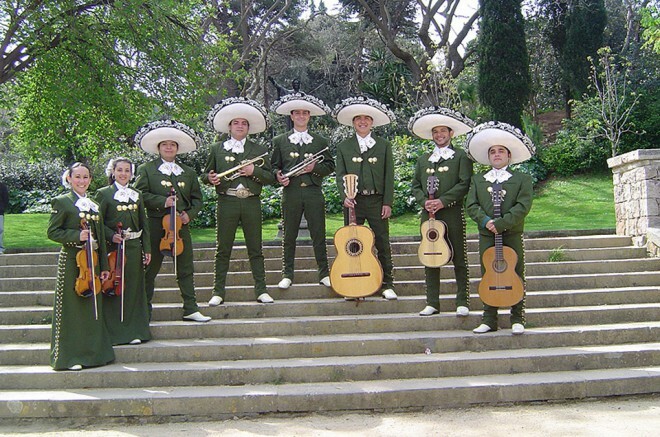 July 17: Dinner with entertainment by Mexican Mariachi group Semblanza and Mobile Disco with Romanian music. 3 and 4 August: Course on architecture. August 21: Race bikes and other children’s activities. August 28: Music and Special Effects at the pool. It’s funny how the music and traditions are carried scenarios not originally contemplated a cultural mix of this type yet exist at the moment of our actions histories, cultures, idiosyncrasies and traditions that live for a while are in perfect harmony. The truth we can only thank the communities currently in Catalunya that have opened the doors to its roots.